This is a war film of a much quieter but no less deadly order. It’s impossible to talk about war in the twentieth century without discussing the Cold War, that intricate and deadly game of chess played between East and West for decades. The war might have been cold but it still cost lives, and it was a war seemingly without honour or glory, waged as it was in secret by men on both sides who popular imagination would have us believe were in it for dubious purposes: petty-minded bureaucrats, ambitious political operatives, upper-class twits, Oxbridge academics, and the occasional backstreet tough called in for dirty work, all serving ideals in which few of them still heartily believed. And it is impossible to discuss the Cold War in popular culture without mentioning John Le Carre. Most of our images of postwar spying have come from his work, and he fixed forever the idea of agents whose work in the seamier side of things hollows them out morally. His novels are dense and complex and without clear-cut heroes, and very few of them have translated well to the big screen (although I think The Spy Who Came In From The Cold is a very successful adaptation). Le Carre has been better served by television , where his spies can try to outwit each other over several hours. 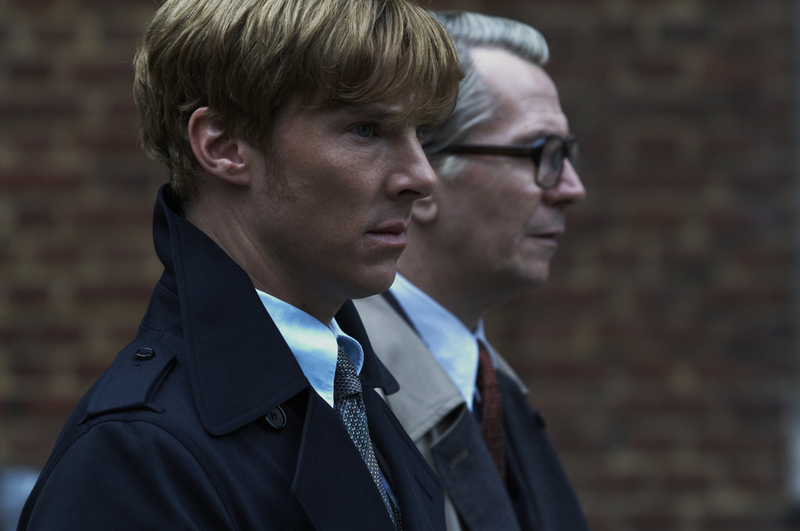 Tinker Tailor Soldier Spy was adapted into a masterful series in 1979 that remained faithful to the book (save for a change in location; the low budget meant they could not afford to shoot in Hong Kong). Alec Guinness is simply wonderful as George Smiley, the retired spymaster drawn back into the Circus to find a Russian mole. It is rightly regarded as one of the best television dramas made. So I was surprised when a couple of years ago I heard that a film was being made of it. How on earth could they cram all that story into two hours? 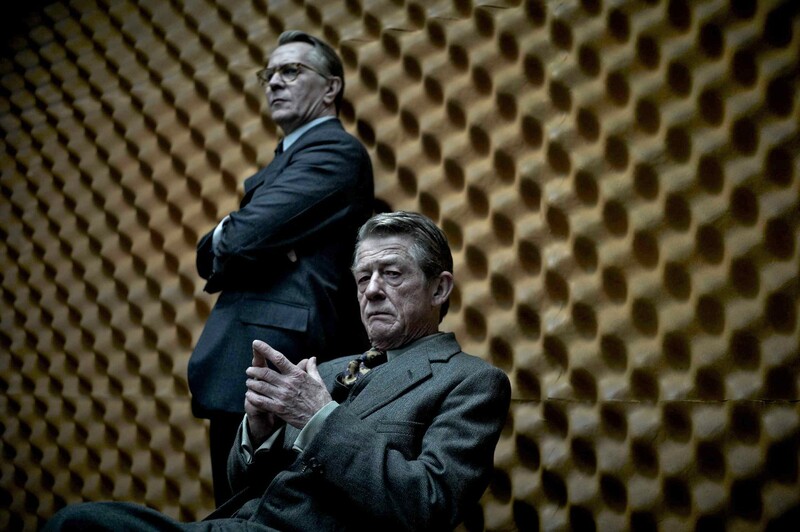 As it happens, they managed quite well, and I think the film version of Tinker Tailor Soldier Spy is among the best movie adaptations of any spy novel ever. That said, I am glad I had read the book before I watched it, as it flashes backwards and forwards quite a bit, and doesn’t make things easy for the audience. If you have to pee, pause the film because you’ll miss too much otherwise. I won’t even try to explain the complexities of the plot. George Smiley and his boss are ousted from MI6 after a bungled job in Hungary results in the deaths of several agents. Some time later the retired Smiley is recalled to the Circus to discover a Russian mole that has apparently been at the heart of the intelligence service for years. Smiley spends most of his time at home looking miserable (his wife has left him, not for the first time), or sitting in his room in a seedy hotel looking at old files, or swimming in a very cold-looking, very grimy public pool. It doesn’t really sound exciting, does it? It’s riveting. The film works for several reasons. Firstly, it has a top-notch cast led by Gary Oldman in one of his best performances. Looking old, weary and weak behind huge, owlish glasses (which he wear always, even while swimming), he is a quiet but forceful spymaster, far cleverer than others think. The glasses are a sort of disguise as he is in fact very, very observant. He has several brilliant moments, including a long monologue where he drunkenly remembers his first encounter with his nemesis, Karla, the Russian spymaster. The rest of the cast includes Benedict Cumberbatch, Colin Firth, John Hurt, Toby Jones, Ciaran Hinds, Tom Hardy, Stephen Graham, Kathy Burke, and Mark Strong. Secondly, it captures the look and atmosphere of the 1970s and it serves as a reminder that there was a time when spies had to do their own surveillance; they didn’t have computers and super high-tech spy gear to do it for them. The production and costume design are accurate (although some of the wigs are a bit dodgy), and if you are old enough, you may have a pang of nostalgic longing for shirt collars as wide as airplane wings, rotary telephones, enormous heavy glass ashtrays, and beige Citroens. And a particularly garish shade of orange. Thirdly, it is a slow-moving film and rather sombre in tone for a thriller, with a very melancholy score, but this is a melancholy story rather than a punchy action movie. The very complex screenplay is by Bridget O’Connor and Peter Straughan. It is directed by Tomas Alfredson, who likes long takes and has some odd taste in pop music. The film does have its flaws, though; I think it’s made unnecessarily complicated at a couple of points, and while it sticks so well to some details from the novel, it still doesn’t have enough time to fully do them justice. I am thinking in particular of the scene where Smiley visits Connie; she was a researcher and an expert on the Soviet military, and it was she who spots a vital clue that others missed, and that ended up costing her her job. In the novel, Smiley deliberately gets her drunk to get her to talk about the old days. In the television series, the scene was quite long and emotional (it’s a pivotal scene in the story, and as Connie, Beryl Reid gives an astonishing performance). In the film, the scene barely lasts five minutes; Kathy Burke is a great actress, and she does what she can, but the scene is reduced to one of exposition. Likewise, there is an unnecessary moment involving Benedict Cumberbatch’s character, who is gay (he isn’t gay in the novel, if memory serves). And the film still doesn’t get to Hong Kong; it uses Istanbul. There is one thing, though, that the film gets absolutely right. There is an important scene that it returns to several times, a raucous office Christmas party from several years before the main events, and at which we see Smiley’s wife, but only from behind; even in his memories of her she remains a mystery. From what I understand the party scene is authentic to the real MI6: Le Carre tells an anecdote from his days at the Foreign Office that one after-work do became so noisy that the police were called, and someone had to quietly explain to the coppers that they should forget whatever they had seen. At the Christmas party in Tinker Tailor Soldier Spy everyone gets seriously plastered, Santa Claus wears a Lenin mask, and the room stands to attention and heartily sings the USSR anthem. No wonder the Circus was never quite trusted by “the cousins” at Langley. Great review Niall. It really is a cracking film, and unexpectedly so, having to live up to the original TV series, with Alec Guinness. I never expected it to work in a two-hour format, but it does, and it is exceedingly enjoyable too. Thanks Niall – enjoyed your nuanced review of a largely satisfying film. Regards Thom. This is a very well done film. Great acting. I loved this film. It was the last 35mm print I saw in a movie theater to date. With everything digital, that beat up print was a welcomed experience. 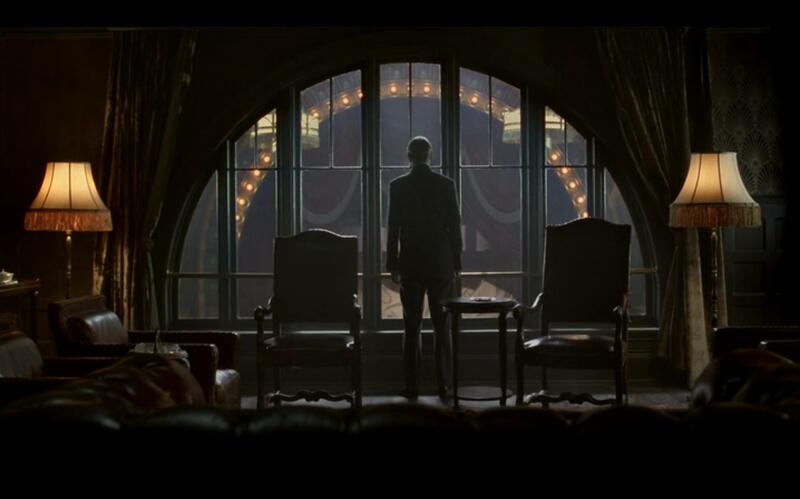 Cast was all top of their game and the cinematography is impeccable, writing to boot.